Results were in line with expectations on higher contributions from acquisitions of Plaza, Exchange, Penn and Phipps. Manulife US REIT has seen positive rental reversion of 7.2% ytd, partly due to its built-in rental escalations. With a diversified tenant base and 100% fixed-rate financing, the portfolio stands resilient in view of US trade friction (rising sector-specific risks) and impending rate hikes. Maintain BUY with a lower target price of US$1.06. 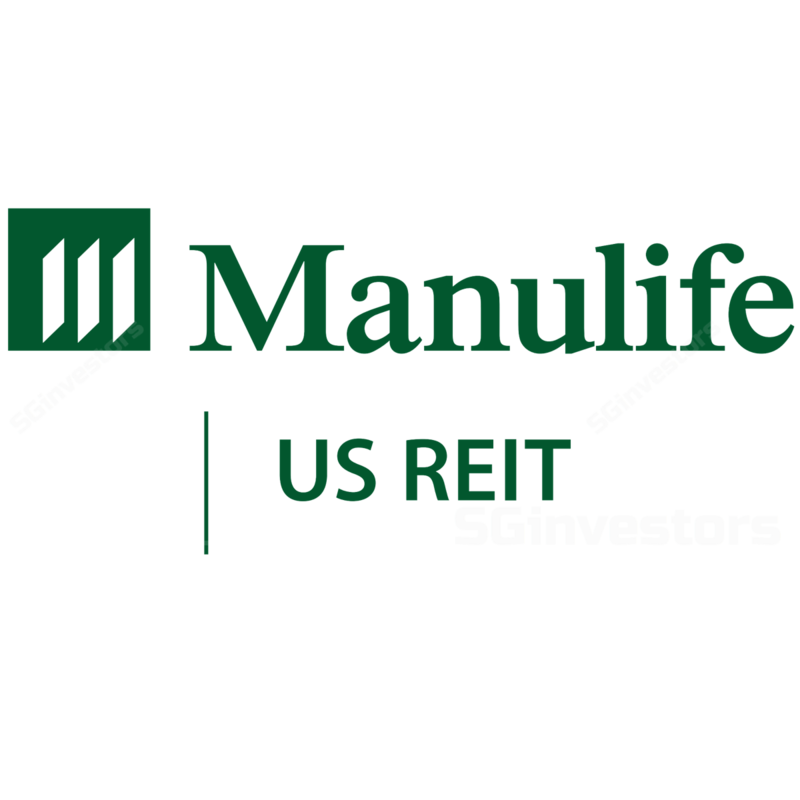 Manulife US REIT (MUST) reported 2Q18 distributable income (DI) of US$16.5m, bringing 1H18 DI to US$32.1m. 2Q18 gross revenue and NPI rose 63.4% y-o-y and 59.3% y-o-y respectively due to higher contributions from Plaza and Exchange in New Jersey (acquired in 2017), as well as the newly acquired Penn in Washington D.C. and Phipps in Atlanta (acquired in 2018). Results were in line with our expectations, with 1H18 DI forming 52% of our full-year forecast. Positive rental reversions of 7.2% ytd. In 1H18, two leases in Figueroa (covering 3,316sf) and one in the Exchange (70,531sf) were executed. Some 93.9% of the portfolio leases (by gross rental income) have rental escalation in place. Although the remaining 6.1% of the leases do not have such escalations in-place, they compensate in terms of the quality and defensiveness of their tenants (ie mainly government leases inherited from the Penn acquisition). Portfolio valuation grew 1.4% y-o-y, mainly due to the change in appraisers (from CBRE) to Colliers to fulfill legal requirements. Management explained that the valuation difference can be partly attributed to differing opinions on market rents, and investment metrics (ie. discount rates and vacancy assumptions) applied by the appraisers. Portfolio occupancy remained stable at 96.0%, +0.2ppt q-o-q. This compares favourably to similar class of buildings which average at 87-88% occupancy in the US, according to management. The portfolio also has a long WALE of 6.3 years by NLA (1Q18: 5.7 years), which was lengthened due to the acquisitions of Penn and Phipps. Gearing grew to 37.3%, +3.2ppt q-o-q. The weighted average debt maturity is 3.2 years, and is well spread across the seven properties from 2019 to 2023. Almost all of Manulife US REIT’s debt are financed on fixed-rate loans, which will help mitigate near-term rate hikes. Rates are widely expected to be raised twice more in 2018, and thrice in 2019. On our estimates, Manulife US REIT still has an acquisition headroom of US$258m, assuming maximum gearing of 45%. Diversified tenant base; no single tenant contributing more than 7.5% of GRI. In particular, management also alluded the progress in reducing their exposure to legal tenants (21.7% vs 45.5% at IPO), as well as finance and insurance. At the same time, Manulife US REIT has also built up tenant exposure to other sectors, like healthcare and retail. We believe the tenant diversification is critical, at a time when sector specific-risks are increasing due to US trade frictions. The US economy grew at a blockbuster 4.1% in 2Q18, also generating strong employment of 213,000 non-farm jobs in 2018 (primarily in professional and business services, healthcare) which will propel demand for office space nationally. The overall rent growth in the US was flat during the quarter but conditions differed across the different US markets. Certain markets, such as Los Angeles, Orange County and Atlanta achieved above-average growth in the last 12 months (based on limited new supply and growing demand), while rent growth in Northern New Jersey has lagged the national average. Among the seven submarkets Manulife US REIT has presence in, CBD in Washington DC and Irvine in Orange County recorded the largest negative net absorption of 111.6sf and 108.6sf respectively in 2Q18. However, management noted these q-o-q figures can be misleading, as they tend to be chunky (ie a few entrants may take up disproportionately large spaces), and should be interpreted over a longer term. Although the CBD, Washington DC submarket saw substantial inventory coming online, their building does not compete directly with the new supply (which are mostly trophy-class). Manulife US REIT’s building continues to capture the more price-sensitive tenants. Management also explained that Irvine, Orange County, is in close proximity to other submarkets (ie Irvine airport and Anaheim), which could see tenants transferring between them, and result in quarterly variations. Acquisition of Penn and Phipps completed. At US$387m, the purchase price is attractive, translating into a 1.8% discount to the average appraised values by C&W and Colliers. The acquisition is expected to be dilutive in the near term (1% dilution to FY17 pro-forma DPU yield). Management has financed the acquisition cost, comprising a mix of rights issue (S$192.3m net proceeds) and debt (S$200.5m) at blended interest-rate of 4.26%. Maintain BUY with a lower target price of US$1.06 (previously US$1.12). This is to reflect a 25bp rise in our risk-free rate assumption to 3.25%. Our valuation is based on DDM (required rate of return: 8.0%, terminal growth: 2.5%).